In the slow-motion Golden Globe Race, Mark Slats has closed to within less than 200 nm of long time race leader Jean-Luc Van Den Heede (image) as they race for the finish. The race tracker shows Dutchman Mark Slats 195 nm behind Frenchman Jean-Luc Van Den Heede who has 1,805 nm to sail to the finish in Les Sables d’Olonne, France. Both are sailing at around 5 knots and Jean-Luc has an ETA of midday 28 January. Mark Slats has now run out of water and is using his emergency Desalinator from his Grab bag to make water. He pumps for up to three hours a day to make just over two liters of water, but still needs rain as these units are not designed for constant use, and after about 10 days can become unreliable. On Wednesday RCA La Radio is to manage the GGR FACEBOOK LIVE transmission with three cameras and clear audio so watch out at 10:00 Hrs UTC 16 January for final opinions from Mark Slats and Jean Luc Van Den Heede as they close in on the finish. GOOD NEWS! 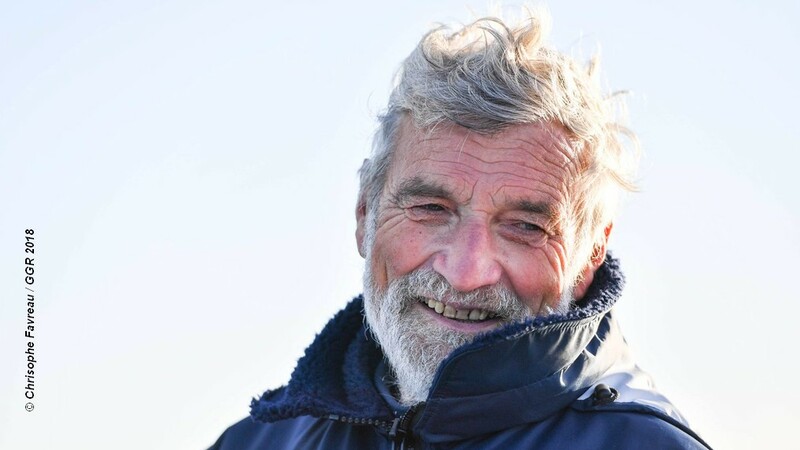 Robin Davie, who was reported overdue, has called in by VHF radio to a coast station. He is 25 miles SW of the Scilly Isles. All is well.